When someone mentions “underground wildlife” in New York City, we tend to cringe. It might call to mind mole people or rat kings, but most of us definitely don’t imagine walking down a flight of stairs into a hidden underground garden. But all of that is about to change. The proposed Lowline Park, an 87,000 square foot nature park, is designed to be built underground on the Lower East Side. Built into an abandoned trolley station below Delancey Street, the Lowline is supposed to add some foliage to New York’s least-green area. With a state-of-the-art system of remote skylights, the park will transfer sunlight underground, allowing plants to photosynthesize and grow. An entire ecosystem is going to grow beneath the Lower East Side pavement – and it wouldn’t be possible without fiber-optic tech. Soil will have to be made fertile for plants. Air flow will have to be regulated and filtered. Sunlight will have to be transferred underground somehow. The genius in the Lowline’s approach is that instead of trying to do these things artificially, the team devised ways to make the actual natural processes occur underground. For example, in order to get nutrients into the soil, the team will introduce critters (earthworms, bugs, and the like) to the park. The soil will then be arranged into different sized mounds, in order to give each plant its ideal exposure to light. And while getting water and ventilation underground isn’t cutting edge in this day and age, Lowline is planning to do something with sunlight that’s game-changing. To make plants grow as they would above ground, the team at Lowline has to replicate natural environments as closely as possible. They decided the best way to recreate sunlight from the surface was…well, simply using sunlight from the surface. 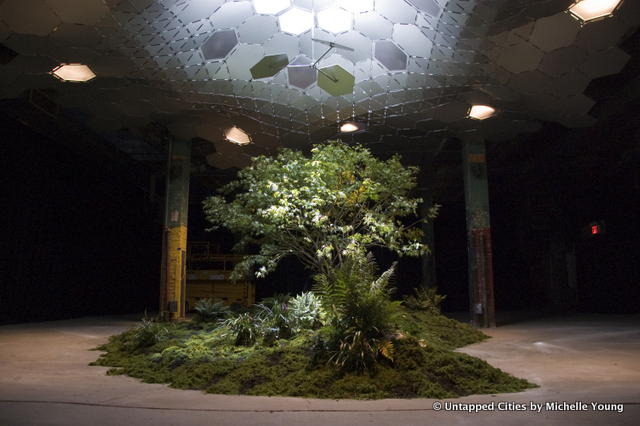 The founder and co-creator of Lowline, James Ramsey, is also head of a design company called RAAD. 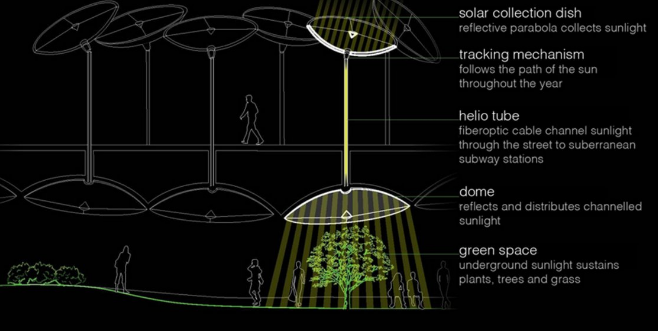 The company designed a system for transporting sunlight using remote skylights. These skylights use a solar collection dish, essentially a satellite dish of reflective parabola, to direct sunlight to a bundle of fiber optic cables that carry the sunlight underground. The dish follows the sun via a tracking mechanism designed by RAAD to maximize the amount of sunlight used. The bundle of cables, which RAAD calls “helio tubes,” run through the Earth to a reflective dome, which is attached to the ceiling of the Lowline park. The domes then scatter the sunlight, dispersing it across the area and all the plants within. The sunlight allows the plants to photosynthesize naturally. As a bonus, because fiber optic cores are made of glass, they naturally block the UV rays that cause sunburn, meaning visitors won’t need any sunscreen to enjoy the nature. The same physics that allows fiber to carry light from lasers and LEDs with no loss of integrity also makes it possible for fiber to convey sunlight. This principle, total internal reflection, states that as long as light reflects off the inside of the cable at a shallow enough angle, the light will reflect perfectly without any change. Getting the light onto the fiber? That’s another thing. Because fiber optics cores are so thin, if you were to simply hold them outside, they would only collect a pinprick of the available sunlight. 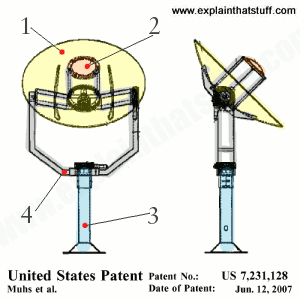 Engineers have to build a device to “funnel” sunlight into the cables, a solar collecting dish. The wider dish reflects sunlight from a large area to the smaller central dish, which condenses the light and reflects it back into the helio tubes at the base of the collector dish. By condensing the sunlight, each fiber optic cable in the bundle can carry significantly more sunlight. However, this condensed light is roughly 30 times more intense than dispersed sunlight. Even though the fiber cables remove the UV rays that cause sunburn, most plants can’t survive that much light exposure. To solve this problem, the condensed light has to be dispersed at the other end of the fiber. The Lowline designers do this by installing reflectors and lenses at the end of the cables to spread the light out. 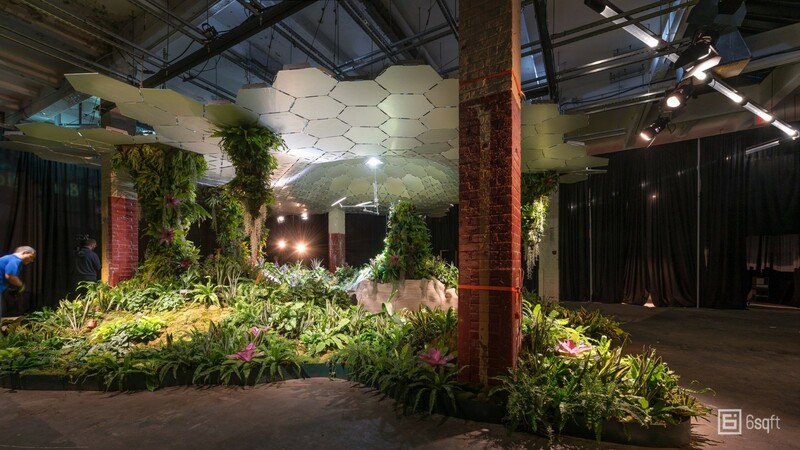 The Lowline ceiling is also built out of reflective hexagons, each positioned at specific angles to better control the spread of the sunlight. 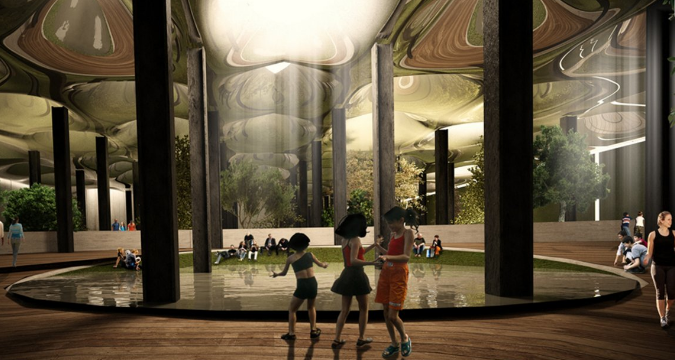 Are Underground Parks The Future of Cities? Not quite yet. While the Lowline Park proposal is supported by business committees and politicians (including Mayor Di Blasio), it has still not been approved for construction. The MTA owns the space, and the price associated with buying and building the park looks to be in the ballpark of $42 to $71 million. However, what we do know is that the technology behind the park works. The Lowline team is currently operating a blacked-out lab to experiment with remote skylights, and they’re working well. Gardeners who were skeptical at first are now proclaiming their excitement at the lab’s ability to grow a wide variety of plants, from mushrooms to flowers to fruit. The lab has hosted over 45,000 visitors, and has been a great exhibit of public interest in the project. If the city ultimately decides to go along with it, the Lowline team hopes to open the park by 2021. If they do, it’ll be yet another instance of fiber-powered technology changing our world for the better.